I can’t believe I almost let Thanksgiving go by without putting up a new comic. This one starts a new storyline that probably won’t make sense and end unexpectedly. 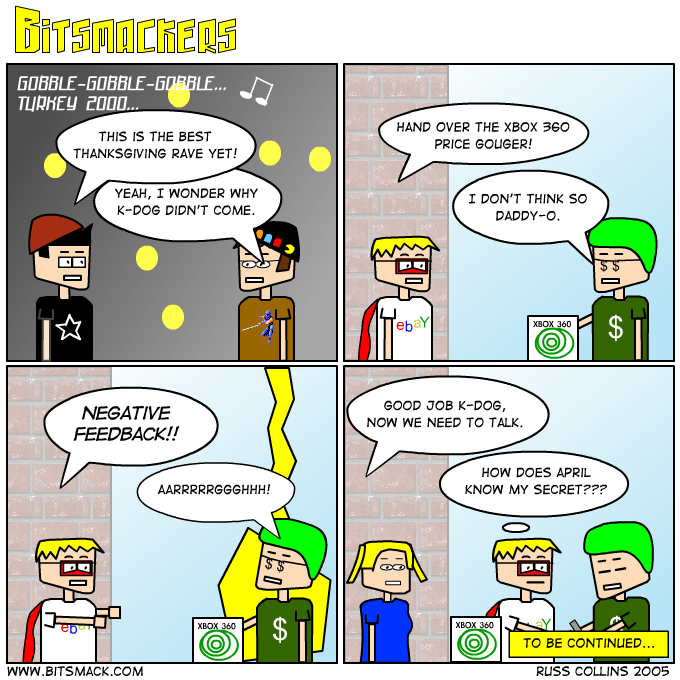 Just the same level of qualtity you expect from Bitsmack.